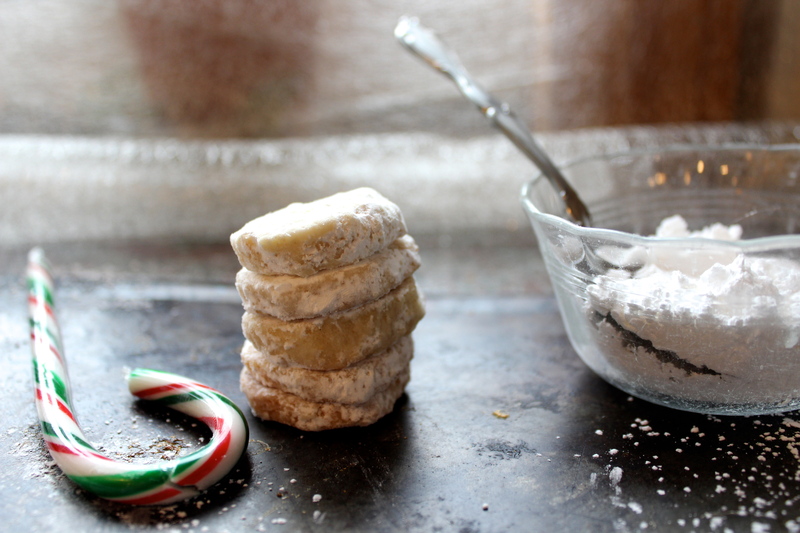 Today’s recipe is a classic shortbread cookie infused with orange zest and ground cardamom spice. The cookies are bite-sized and soft, and have a heavenly way of melting on your tongue in their buttery-icing-sugar simplicity. 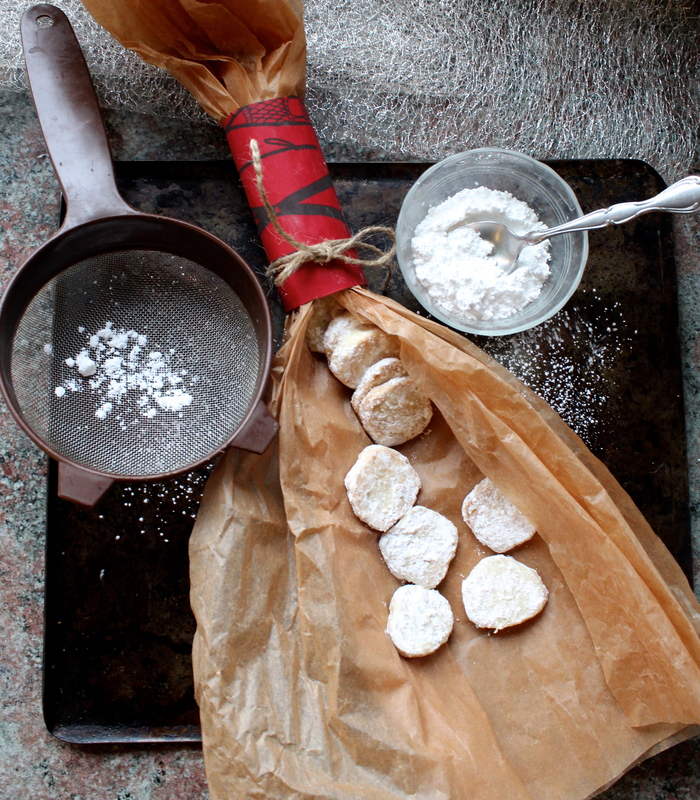 The recipe calls for a small handful of ingredients: butter, icing sugar and flour, the cornerstones of the historic shortbread cookie. With a pinch or two of a few more things, these cookies will bake up to fill your home with the sweetest Christmassy aroma. The cookies are called shortbread because their recipes have always called for a large portion of shortening (now we tend to use butter). 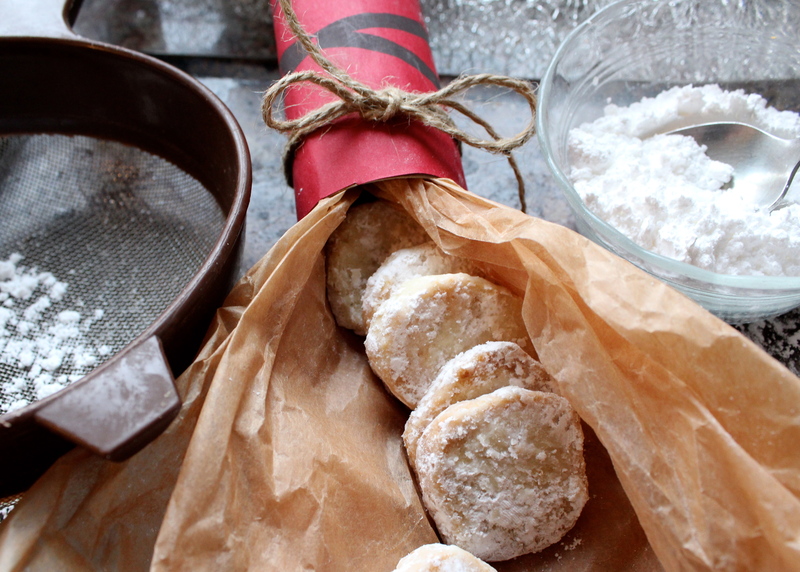 The first official print recipe for shortbread was published in 1736 in a Scottish cookbook. The dessert was traditionally considered a festive food, only to be consumed at Christmas time or on the Scottice New Year’s Eve, Hogmanay. 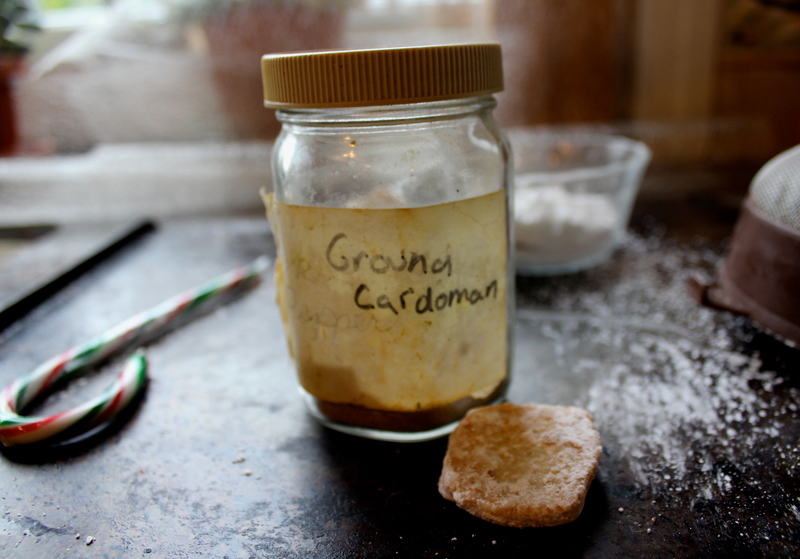 Queen Victoria liked her shortbread seasoned with salt. 1. In a mixer, cream butter and 1/3 cup sugar until fluffy. Add orange zest, juice and vanilla. Beat them together until light. 2. In a medium bowl, whisk together flour, cornstarch, cardamom and salt. Add to butter mixture and beat on low speed until combined. 3. Divide dough into half. 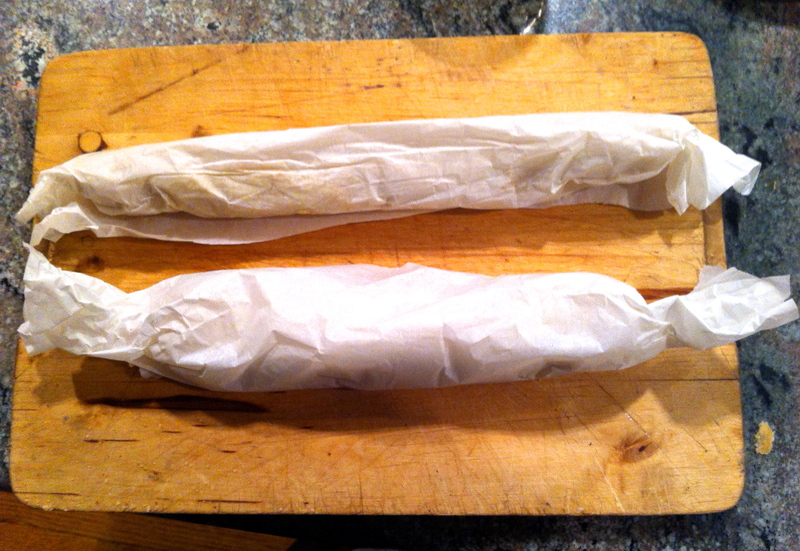 Tear a piece of parchment or wax paper and place one half of the dough on one end. Form into a long 2 inch diameter log. Curl the paper over the edge of the dough and roll the dough into a sort of cocoon. Repeat with second half. Refridgerate dough for at least 1 hour. 4. Heat oven to 350 F. Line 2 baking sheets with parchment paper or grease. 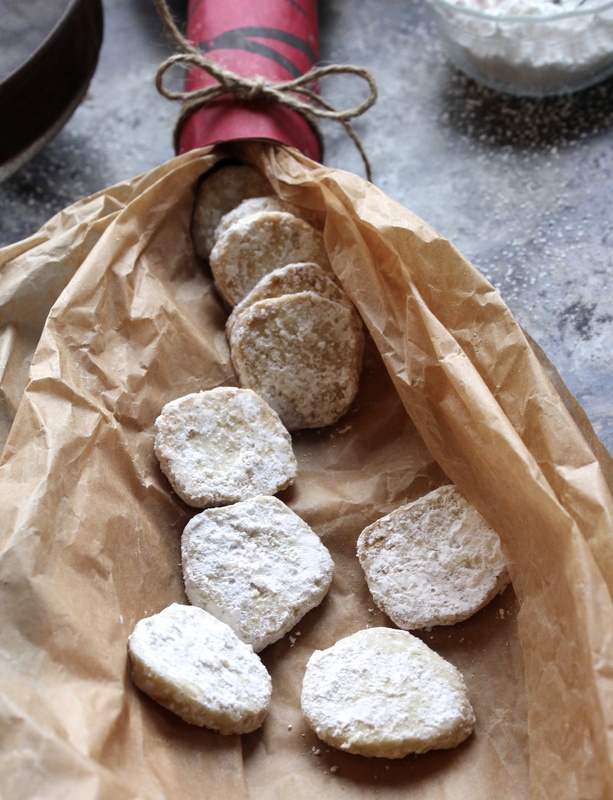 Place remaining icing sugar in a ziplock bag. Remove parchment from logs then slice with a sharp knife into 1/4 inch thick rounds. Place cookie rounds onto baking sheets spaced 1 inch apart. 5. Bake cookies until barely golden, about 15 minutes. Transfer cookies to a rack to cool slightly, about 4 min. 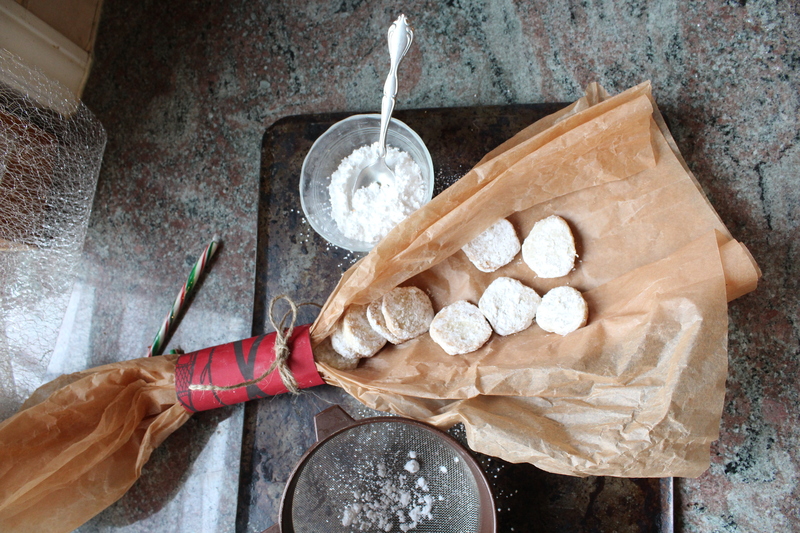 While still warm, place cookies in the icing sugar filled bag. Toss to coat. Bake or freeze remaining dough. Store baked cookies in an air tight container for up to 2 weeks. Recipe Credit: Airmiles Gold Holiday 2013 Magazine. I hope you enjoy your tiny shortbread treats. Again, these cookies would be a great addition to a dessert tray at your next holiday party! Also they could make a sweet gift. In my photographs, I decorated a recycled toilet paper roll with some festive wrapping paper, then used some tissue paper to bundle up the treats. Maybe you could do the same as a Christmas gift for your loves? Have a great day. Plans for the rest of the week? If you aren’t already up to your toque in social events, here’s a great list of Vancouver happenings over the next seven days! (All the cool kids will be there.) I would love to make one of those on Wednesday night, visit this pop up shop on Thursday and warm my fingers by an urban bonfire on Saturday. PPS: The cutest way to bring home a tree for the fam. Man of the house! This entry was posted in Baking, Christmas, Cookies and tagged baking, cardamom, christmas, cookies, dessert, holiday, orange, shortbread. Bookmark the permalink.